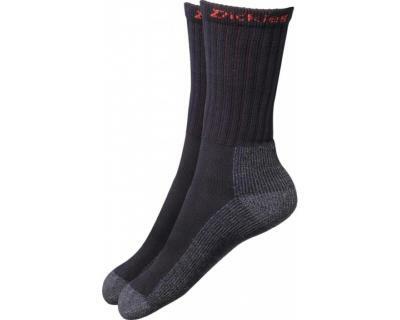 These quality work socks are made for heavy use with industrial work boots or safety footwear. Extra support in the sole, heel and toe reinforcement and a comfort top ensure premium quality throughout. With only two pairs in each pack it may be worth buying multiple packs to get you through the working week. Extra support in sole with reinforced heel and toe. Soft lycraR used in leg for comfortable wearing. Super thick combed cotton for perfect humidity control. Very heavy socks perfect to wear in industrial workwear boots.